Nobody wants to spend time on a site that’s dull, drab and has you checking the clock time and again before you get to log out. 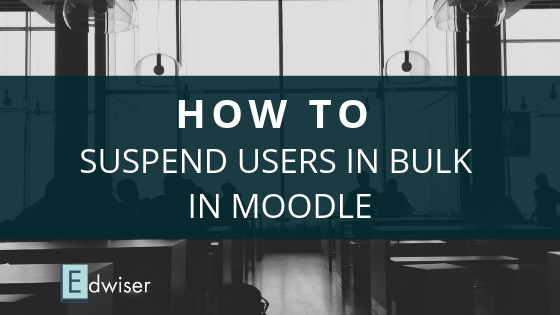 Moodle, despite being one the most widely used LMS, has often fallen victim to this very complication. The default interface is primitive, and the UX is anything but charming. That’s where a Moodle theme steps in. A great theme not only makes your website look better, but also improves upon functionality and features, while attracting potential learners. It’s innovative and creative. Now, the great thing about Moodle is that you don’t always have to look at paid themes in order to get what you need, an impressive collection of free themes more than cover up the bulk of any design requirements. But how do you zero in on one theme that perfectly suits all your needs? Do you focus on a theme that’s high on features and customizability or do you opt for a clean and minimal design? Mobile traffic can no longer be ignored in an age where more people access the net on their phones than on laptops and PCs, which makes responsive design, a must-have. Essential is for when you want to make your make Moodle website.. um, less Moodle-y? Developed by Julian Ridden (the famed Moodleman himself) Essential provides for a very clean and polished front end aesthetics that appeals to learners of of all age groups. Essential is powered by Bootstrap, one the most recognizable and reliable frameworks for theme design. 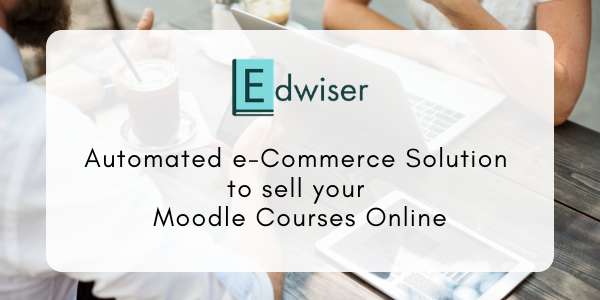 The header has been designed to highlight items of interest via a slider, which essentially makes it look like more of polished blog than an e-learning website. Very enticing, from a marketing standpoint. Clean and minimal is not necessarily less, as is clearly evident from the whole lot of settings available through an admin interface, something that’s uncommon for a Moodle theme. The slider is highly customizable, so are the various labels on the front page and even the entire color scheme of the site. 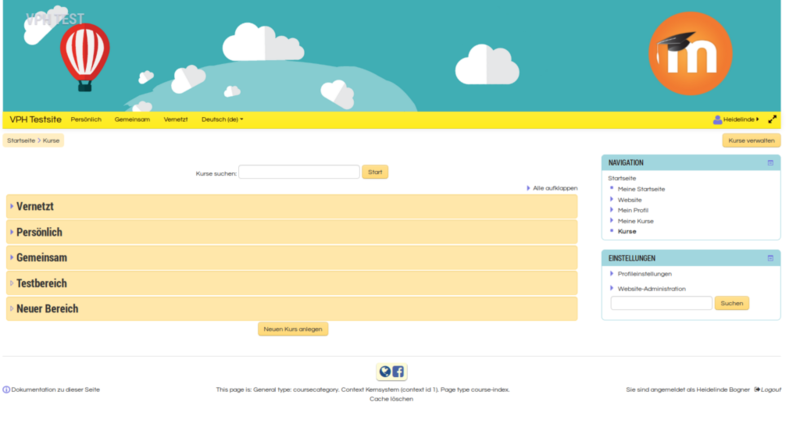 The footer presents you with various ‘Moodle blocks’ that can be filled with widgets and functionality of your choice. Part of the look can also be credited to Font Awesome, which is present throughout the theme. Cool icons and a ton of fonts to choose from. Definitely a one-up, given how eye pleasing Font Awesome is known to be. Essential is completely responsive, so mobile learning will never be a problem for your audience. Integration with Google Analytics? Check. True to it’s name, Academi is the most learn-centric theme on this list. If Essential has the look of a blog, Academi carries the charisma of a modern elearning website. 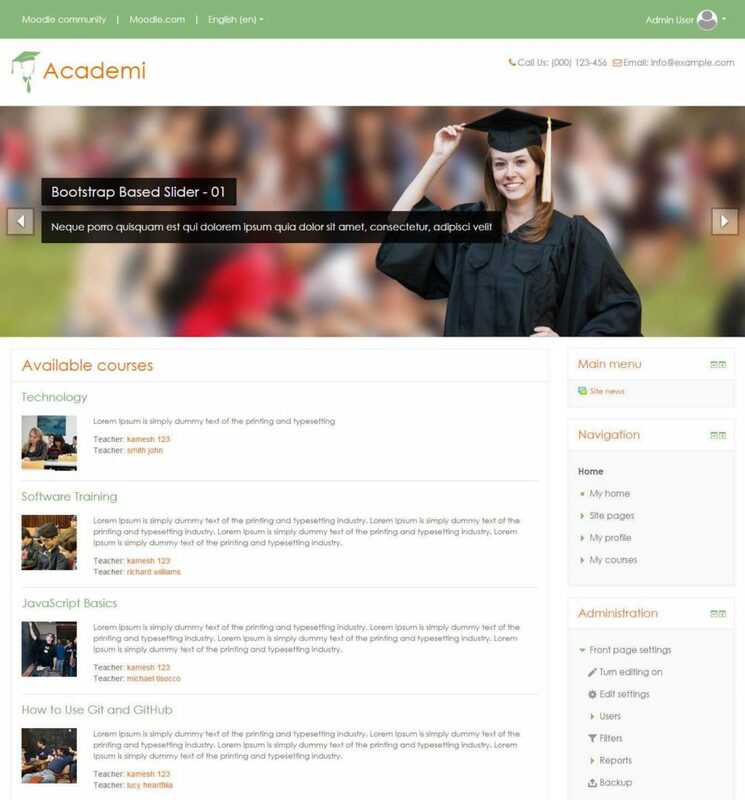 Developed by Nephzat Technologies, Academi makes for a smooth and suave theme for Moodle that’s perfect for commercial uses. It opts for a more professional look, with a slider in the header of the front page that can be used to present course highlights. Scrolling down, one can immediately see listed the blocks of various Courses and Course categories available on the website. The no-nonsense-only-learning feel that Academi brings to the table is almost tangible. Like Essential, Academi also derives its features from Bootstrap framework, providing a solid foundation to the core of the theme. Also present is Font Awesome, with it’s massive collection of icons and typographical fonts. The CCS is flexible and can be tweaked to suit your business needs, like adding a company logo or personalizing the menu. Academi is completely responsible, and handles various screen sizes with relative ease. Other plus points include eye catching accordions, dropdowns and tabs that are perfect to add generous amounts of content without making it look stuffed. The footer provided is also customizable, and let’s you play around with blocks of information that can be widgetized as per requirements. Add to that- customizable social media links and you are all set for some serious Moodle-preneurship. 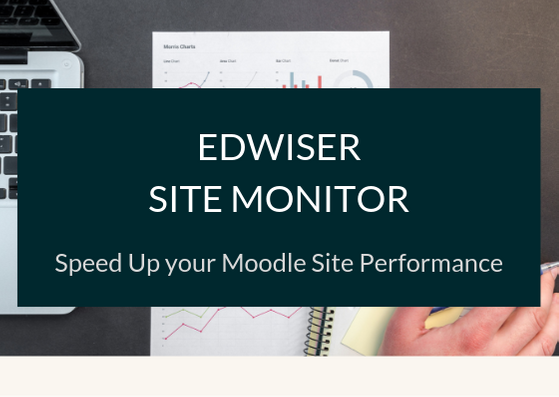 What do you get when you take a Moodle theme specifically developed for a world class university and ramp up its features full throttle? 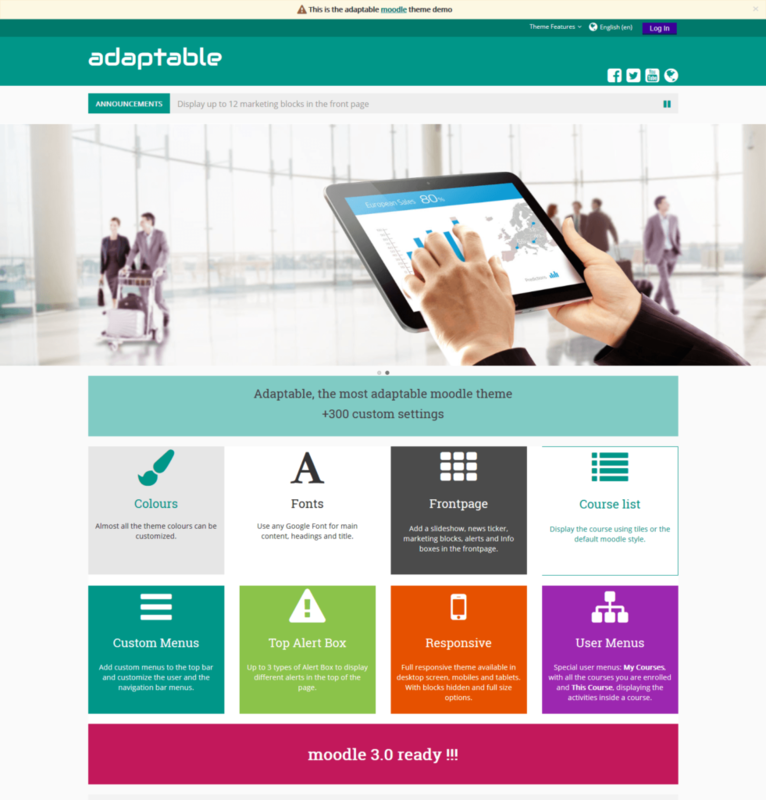 Adaptable is the lovechild of the popular Moodle theme BCU and the amazing work done on extending the theme by 3bits Elearning Solutions, and predictably incorporates the best of both worlds. It stands out in the sense that it is the only other theme on this list (apart from Essential) that offers customizable settings via an admin interface, and boy, does it do that with aplomb. Adaptable presents its users with the kind of marketability that’s usually confined to larger and more robust Content Management System, like WordPress. It should come as no surprise that Adaptable is home to features like audience targeting and intra-network communications that’s apt for a university or large elearning organizations. Nested within it’s many options is the ability to update custom profiles with a script to identify various user roles like teachers vs learners or even various departments, so that you can choose to display specific items and options. A particularly useful and unique feature is the presence of Bootstrap Alerts, a sitewide banner that can be used to send out alerts and messages to all the users, informing them of events like when the site is in maintenance or anything similar. Anyone managing a large Moodle site will tell you it’s but a life saver. Did I mention the jQuery slider that also makes for a pretty news ticker? They have it all! Sometimes simplicity and consistency is the way to go and that’s where Pioneer steps in. Visit any Pioneer website and you’ll see what I’m reaching at. Pioneer provides tutors the option to personalize the look of their courses such that it’s the same throughout the course. This is done using an option that let you upload a header image that stays consistent on all your course pages. Alternatively, the site admin can also upload an image to be used by all courses. Pioneer is a great theme for those who want to provide a consistent look and feel with their LMS but also allow teachers to personalize the look of their online classroom. Pioneer allows a teacher to upload an image into the course settings page and that image is used as the header image across the top of the course. Alternatively, the site admin can upload an image to be used by all courses. The front page is thoroughly customizable, right from the color pallette to the width and height of the sidebars and even the login form. The rest of feature list is pretty much standard, as you may have come to expect from any theme on this list. Customizable footer, social icons, marketing spots, featured courses, integrations with Google Analytics and Google Fonts.. Pioneer has it all. True to the words, Campus is customizable from A to Z, and will look like exactly how you want it to. There are as much as 9 different screens for setting for crying out loud! The header is responsive, and will let you choose a custom background with a logo to reflect your credentials. The theme comes along will full screen settings that make it so much more convenient as a e-learning essential. One feature that stands out is the MNET authentication support, so you can remotely manage all of your Moodle sites from a single sign on, with complete access privileges. The rest is as much as you’d expect from any Moodle theme. A variety of fonts to choose from, attractive color schemes, social icons, and front-page slideshows to feature premium content. Also present are sub themes for course categories that let you experiment with different looks for different types of courses. If you like them extra personalized, you cannot go wrong with Campus. When it comes to picking the right theme for your Moodle website, design flexibility and functionality play a key role. With Moodle 3.2, you’ve got Boost as the default theme that shows a lot of promise. But as always free themes have their limitations. Well, that’s about our round-up of 5 favorite free themes for Moodle! Would you have picked any differently? Let us know in the comment section! Great article – loved the very first theme you recommended, thanks ! Thanks Glenn, I’ve updated the link! Hi, great article! I only have a doubt, Academi shows in the moodle theme page that is made for 3.1 version…I have moodle 3.2.1, I can use this theme? With Academi Moodle theme, I am afraid it does not have a Moodle 3.2 compatible version as of now. For Moodle 3.2 for now very few themes have provided support. 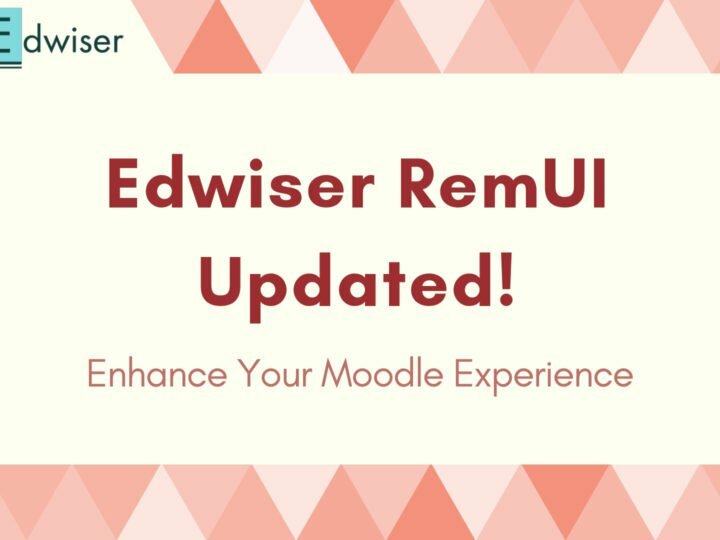 For our own theme Edwiser RemUI (https://edwiser.org/remui/) became Moodle version 3.2 compatible last month. 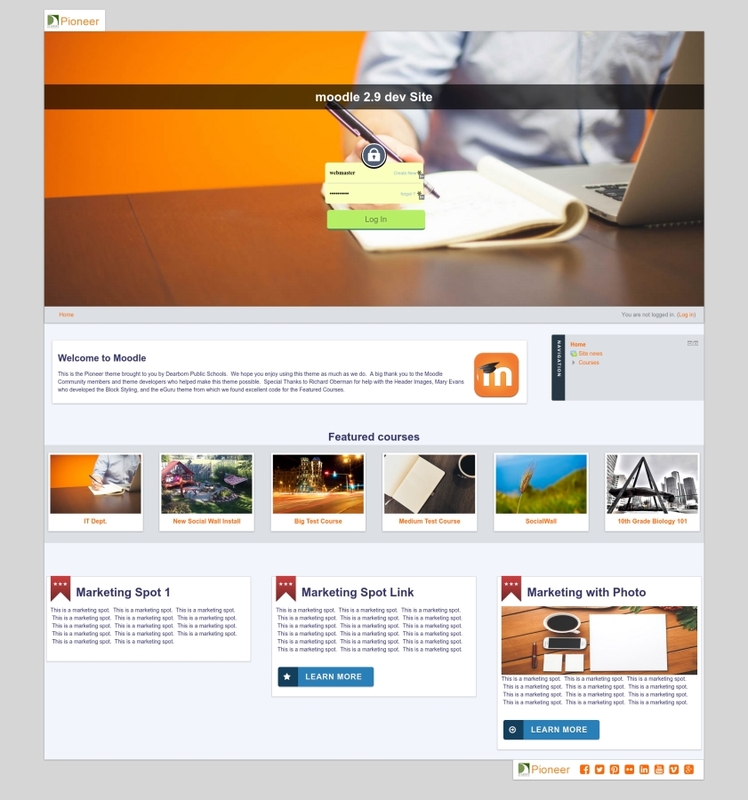 I am planning to buy remui theme for my moodle LMS. 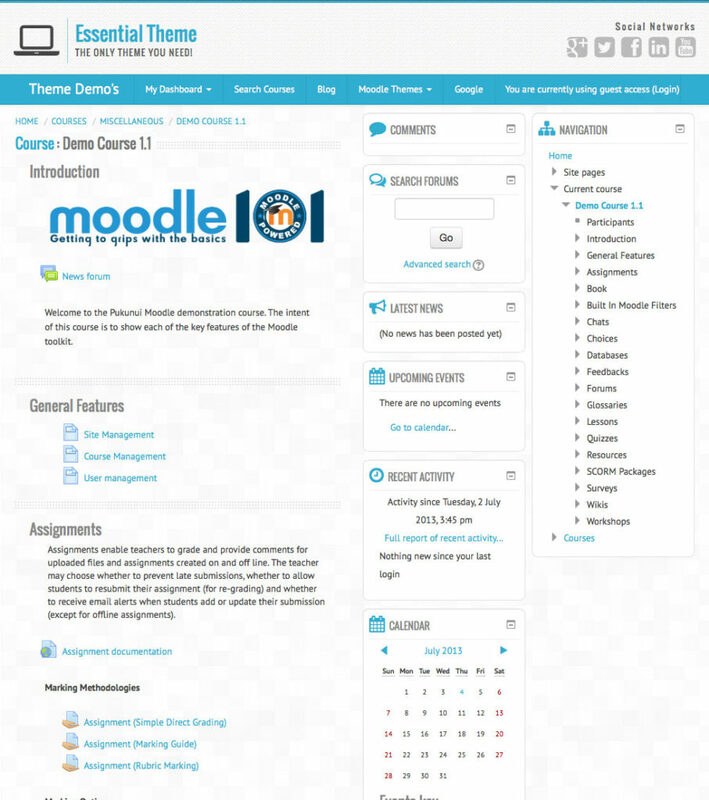 Will it be safe to shift Moodle from old free theme version to this theme? It is completely safe if you’re using the latest version of Moodle. I’m interested in Remui. It lists courses beautifully, but how about course categories? Please advise. Thanks a lot! Great article indeed! If you could share with me, what are the few things you look for, in a good theme?